See how this grandmother threw caution to the wind by turning an ordinary wet day into an unforgettable adventure . . . after all, it’s only a little mud! Spring is here! And with spring comes rain and with rain comes…mud. Nancy was spending a grey morning in her pajamas in the safety of her clean, dry kitchen while she watched the kids from the window. 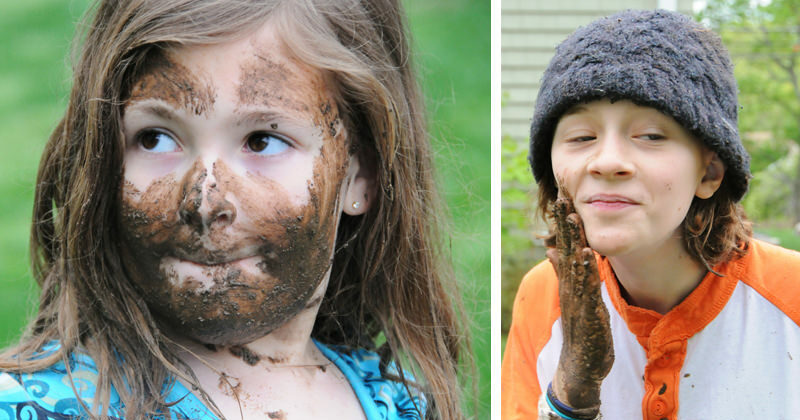 They were making mud pies and other gourmet delights, laughing and enjoying themselves. How was Nancy, really a kid at heart, not supposed to go outside to join them? Without even changing out of her pajamas, she headed to the yard to get “cooking” with the chefs. Greta looked up, mud pie in hand, to see Nancy coming to join them. Nancy saw a twinkle in Greta’s eye, a twinkle that can only come before mischief. Before Greta had a chance to act, Nancy leaned down and scooped up a handful of ooze, and got the first shot! 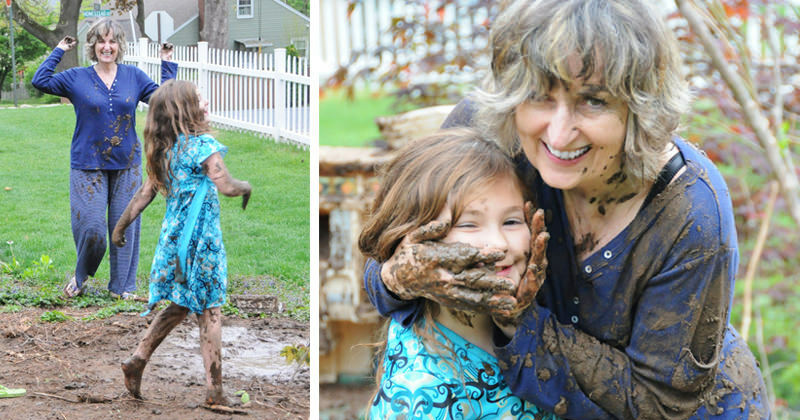 There was a moment of shock (who expects a grandmother to throw a dripping handful of mud?!) And then chaos ensued! Unfortunately for Nancy, she failed to take into account how vastly outnumbered she was. 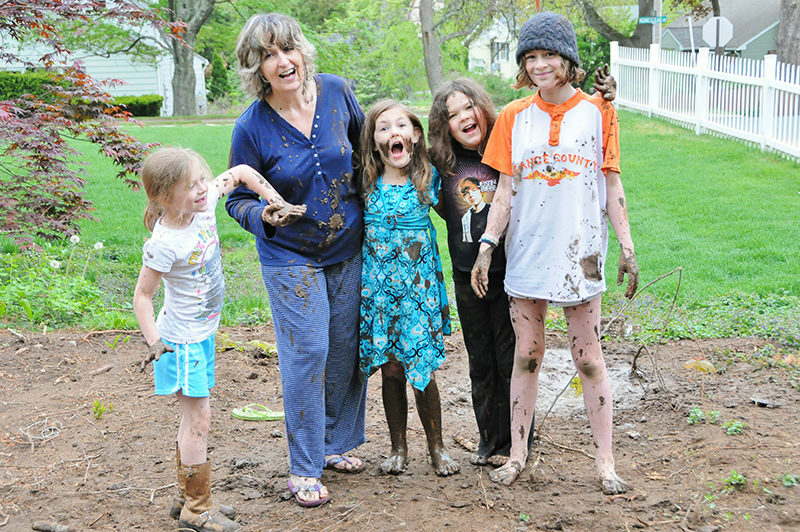 Greta led a fearless attack, mud flew from all directions, and soon Nancy’s pajamas had mud pie all over them. But after all, it’s only a little mud! Thank you to Nancy McCavanagh for sharing her story with us! Are there any mud-slinging moments in your past? Or do you have another story you’d like to share? Tell us your story!